Beneath its charming façade covered by ivy lies the Hotel Aux Remparts, a four star hotel neatly situated in the heart of Fribourg near the historical “Porte de Morat” that once marked the boundary of the city. Its convenient location ensures that this hotel is located a mere ten minute ride by car to both the highway exit and the Fribourg train station. 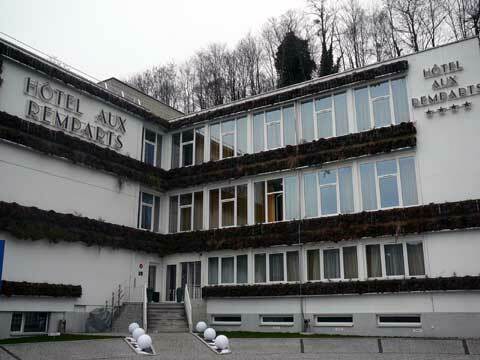 Completely renovated in 2012 and re-opened at the end of the same year, the Hotel Aux Remparts in Fribourg Switzerland offers 65 luxurious and modern rooms to choose from. Each room is decorated in the Art Deco, and the beautiful interior design of each room is complemented by the use of super AAA, 23 cm mattresses. The bed linens used in the Hotel Aux Remparts rooms are similar to those of the best luxury hotels, including the famous Bangkok Oriental Hotel. Rates for the rooms range from CHF 129 to CHF 310.